The Florida Gators (12-10, 4-5) dropped another one on the road Tuesday night, losing to the Auburn Tigers (16-6, 5-4) 76-62. The Gators were able to make it a 6-point deficit at the half, but couldn’t overcome the strong second half by the Tigers. Tuesday night’s loss snaps Florida’s 11-game winning streak against Auburn. WHAT WENT WRONG: The Gators never really seemed to get in any sort of groove on the night. Offensively, they looked out of rhythm and stagnant at times which has much been the case many times this season. But even defensively, it just didn’t seem to be the Gators night. The Tigers are a team that’s great at controlling the tempo and they had their way running the floor with the Gators. Auburn was able to control the flow of the game the way they wanted to on and the Gators didn’t have enough to leave The Plains with road victory. HE STOLE THE SHOW: It was an all-around effort for the Tigers on Tuesday, but they were led by the duo of Bryce Brown and Samir Doughty. Brown entered the night as Auburn’s leading scorer, and he led the way with 14 points on 6-for-12 from the field. And for Doughty, he finished with 12. As for the Gators, Kevarrius Hayes led the way with 11 points. KeVaughn Allen and Noah Locke each also added 10. 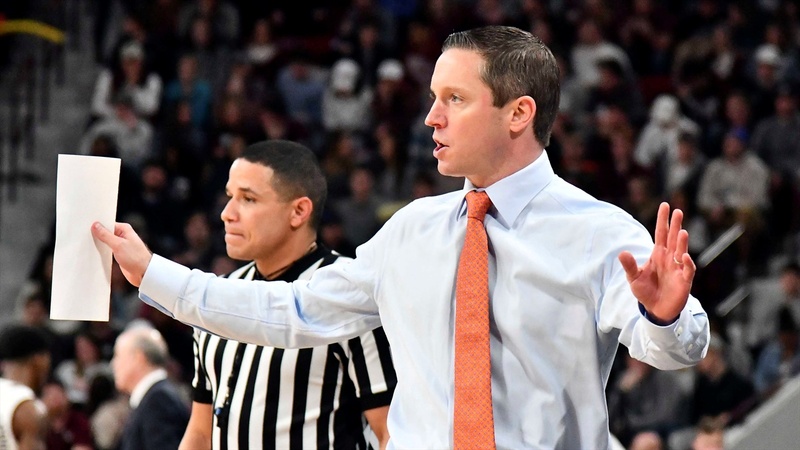 THE NUMBERS DON’T LIE: You can call it a lack of assertiveness or maybe they aren’t getting all the calls, but the Gators simply aren’t getting to the foul line enough. In the first half, the Gators didn’t get to the foul line once. Obviously, it’s something that is tough to control, but that simply isn’t going to cut it. The Gators need to start being more aggressive offensively and try to get to the line more for easy points. But of course, they still have to make the free throw. THE BOTTOM LINE: The Gators came into the night needing a big win. And how the season has panned out to this point, it’s going to be that way the rest of the season. With that being said, the Gators just don’t seem to be playing like a team that knows they need to win. The Gators are accustomed at times to slow starts and that once again happened on the road. Quite simply, they are in no situation to start games slow, especially on the road. It’s been a struggle for this team to play a consistent two halves and until that happens, it’s hard to see this team getting it together. UP NEXT: It won’t get any easier for the Gators. In fact, it couldn’t be more challenging. The Gators will stay on the road, but this time will travel to Knoxville to see the No. 1 team in the country Saturday. The Tennessee Volunteers will enter the game on a 17-game winning streak, which includes a win over the Gators in Gainesville.